This is a tiny Easter egg basket. I crocheted the basket in two colors. Then I made tiny colorful Easter eggs for it. The eggs are made in go green technology. I used old Soviet cotton wool technology of making toys. Our grandmas here used to make Christmas tree decorations and other toys for their kids out of homemade flour or starch glue and cotton wool.You may click a link about to see, how they are made. 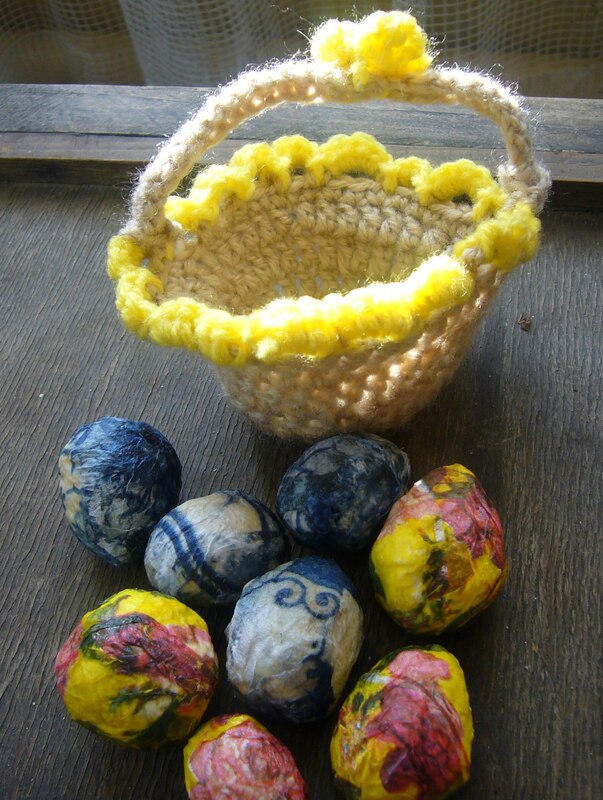 After the Easter eggs have dried up I have decoupaged them over with napkins. This is a totally go green Easter egg basket. 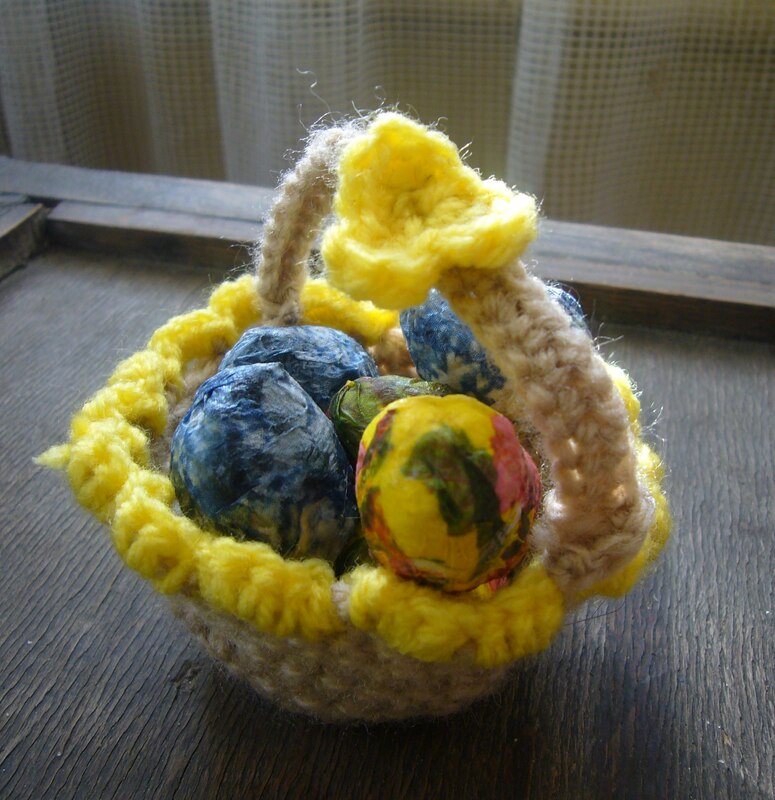 The basket is crocheted from recycled yarn. You may order it in different colors in my Etsy recycledcrafting shop and check out other green, recycled and handmade items.